What if we're not the first advanced civilization on Earth -- How would we know? What if we’re not the first advanced civilization on Earth — How would we know? 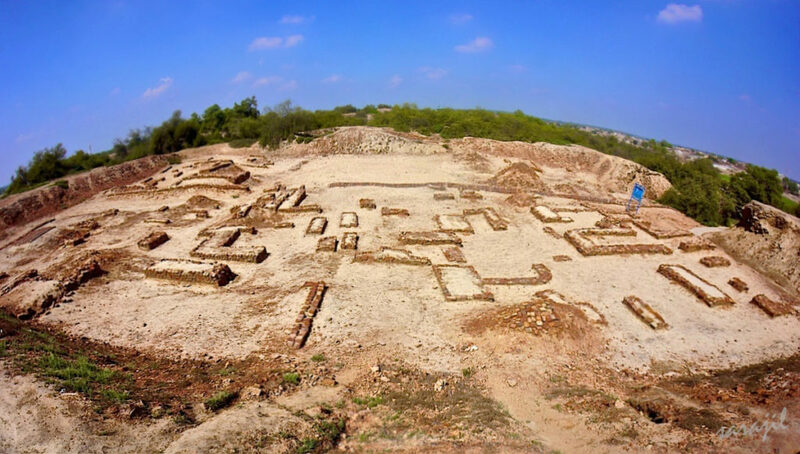 Archaeological Site of Harappa. Image via Wikipedia. Homo sapiens as we know it evolved some 315,000 years ago. You might think that’s a very long time and in one sense, it is. But at a geological scale, it’s nothing. Primates, as a group, emerged some 55 million years ago, while mammals came to be over 200 million years ago. Reptiles have been on this planet for more than 300 million years ago, and fish popped up more than 500 million years ago. The history of life on Earth is so incredibly long it’s difficult to comprehend it at the human scale. What we know about these ancient living creatures, we know through fossils. Sure, we complement findings with computer models and the ecological principles we’ve discovered, but fossils are still the pillar of our knowledge of ancient life. But it takes special conditions for a fossil to form, and the results we’ve discovered so far are few and far between compared to the mind-blowing diversity our planet has witnessed. To make matters even worse, our planet is an active environment and tectonic movement (and other geological processes) can destroy fossils and other clues about ancient environments. So to sum it up, remnants of life are rare, and even those rare bits are often destroyed by the Earth’s geology. Now, think about it this way: wouldn’t the same thing happen to evidence of an ancient civilization? If humanity went extinct tomorrow, what would be left of us? The buildings, roads, and all the infrastructure — for a while. They would be engulfed by vegetation in a few years, and almost everything would be destroyed in a few centuries. After a million years, you probably won’t see any evidence that mankind ever existed — at the surface, anyway. A diligent scientist one million years in the future might be able to tell that a civilization once existed. 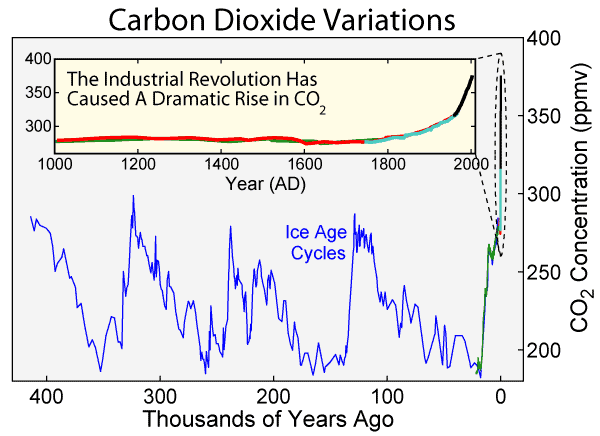 He’d find isotopic evidence of atomic explosions, an unnatural rise in CO2 emissions, perhaps even some remnants of former structures — but all these have essentially happened in the past century. In their new study, Gavin A. Schmidt (a climatologist with the NASA Goddard Institute for Space Studies) and Adam Frank (an astronomer from the University of Rochester) address this conundrum: are we the first civilization on Earth, and what does this mean for finding life on other planets? Based on recent astronomical findings, we know that there is a huge number of stars in the galaxy, many of them harboring stars in the habitable zone. The number of planets capable of hosting life might be very high, thus also increasing the chances of intelligent life forms emerging. Scientists are looking for extraterrestrial life more and more — but what about here on Earth, what if there is a previous civilization we’ve still yet to discover? What if we are the scientists million of years in the future, hunting for an ancient industrialized civilization, what would we find? You’d start with the air, researchers write. You’d move on to geomorphological features, like increased rates of sediment flow in rivers and its deposition in coastal environments, as a result of agricultural processes, deforestation, and the digging of canals. Then, you’d move on to biology, looking for evidence of domesticated animals. But the biggest smoking gun would be synthetic materials. The presence of synthetic materials, plastics, and radioactive elements (caused by nuclear power or nuclear testing) could also leave a significant mark on the geological record, and isotopes could last for millions of years. Finally, you’d look for extinctions caused by the rise of said civilization. “The clearest class of event with such similarities are the hyperthermals, most notably the Paleocene-Eocene Thermal Maximum (56 Ma), but this also includes smaller hyperthermal events, ocean anoxic events in the Cretaceous and Jurassic, and significant (if less well characterized) events of the Paleozoic,” researchers continue. 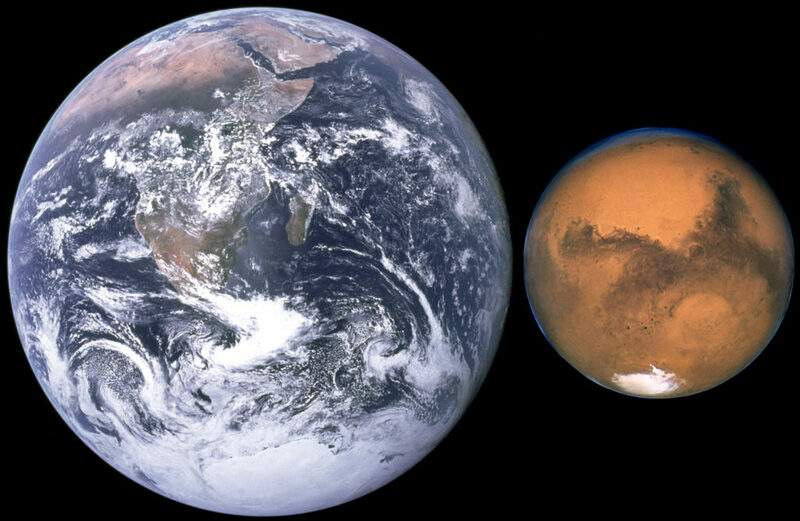 A comparison between the Earth and Mars. After tightening these constraints for Earth, they move on to what we might potentially see on other planets. Mars and Venus might have been habitable millions of years ago, and if we want to see if this was the case, we need to know what to look for.